The Latin groove arrives in Barcelona with Latin Sessions, a show that combines a Latin music concert with a later jam session open to any musician who wants to sign up. In this occasion we will enjoy L’H Salsa Band, a formation based on the salsa genre being one of the few orchestras with live musicians that offer this genre not only to the people of L’Hospitalet but to all of Barcelona and its surroundings. Among others, they have been support for the great orchestra SONORA DINAMITA and the luxury of sharing a song with the great percussionist “Piraña” (Paco de Lucía, Niña Pastori, etc.). Currently the composers of this group are nine musicians of different nationalities. Peru, Italy, Colombia, Ecuador and the Dominican Republic. 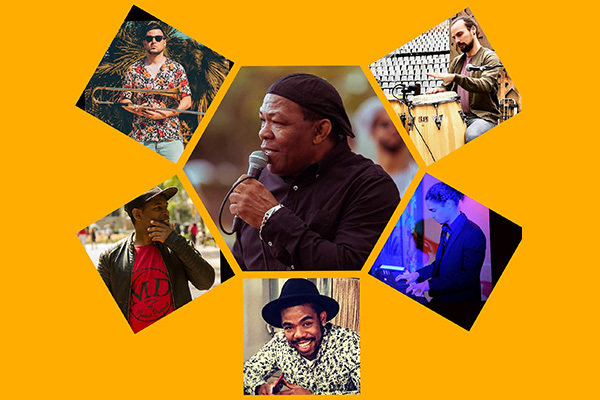 They are projected to be one of the most important orchestras of the salsa scene in Barcelona, thanks to a repertoire that goes from classic salsa to their own themes in which they are currently working.